Trying to understand how to earn a salary through your following? Well I've got 12 pages here on how to get started! Includes discussion of the current social media market, how it works, why and what you should charge for space on your account, how to get brands to notice you, and how to begin negotiations. Learn the tricks of Sadie's shine line holographic hair! 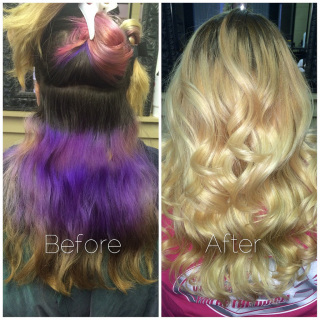 Formulas, sectioning, and placements, with photos and illustrations done by me! PDF file that requires Adobe Acrobat to Download. A moderately detailed list of my favorite brands in every color, with specific product descriptions and why I like them, in addition to a few tips and vendor information. ​PDF file that requires Adobe Acrobat to download. If you or your client already has vivid colors in their hair, this shows a couple of different ways you can transition them easily into color melts or ombre, without needing to remove the prior color, for a totally new look! 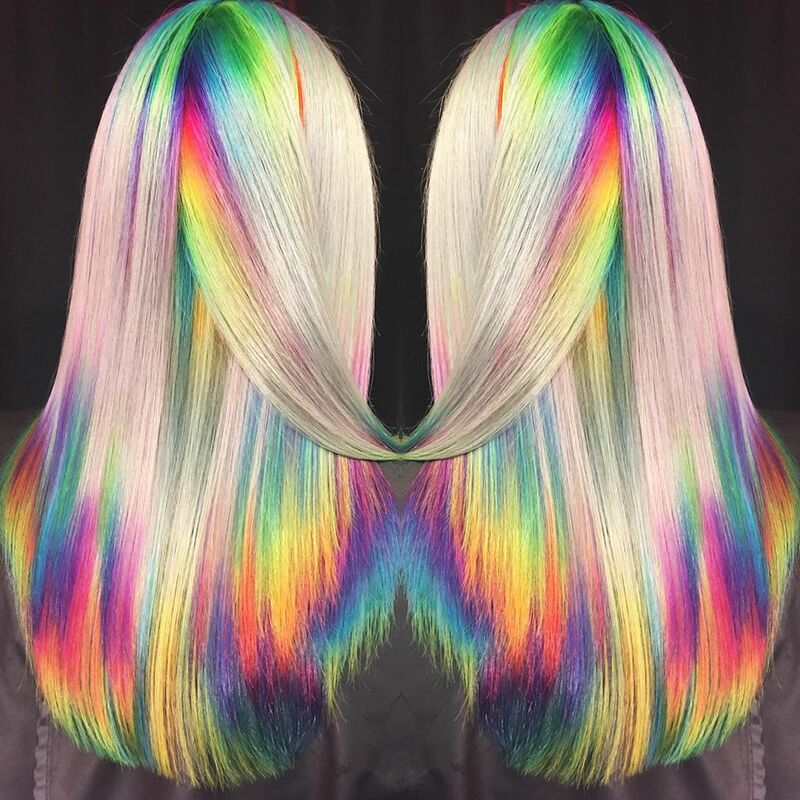 Lots of photos, examples, and explanations for how to utilize existing color to create new tones and more interest on the hair, from basic 2 color melts to full on rainbow melts. 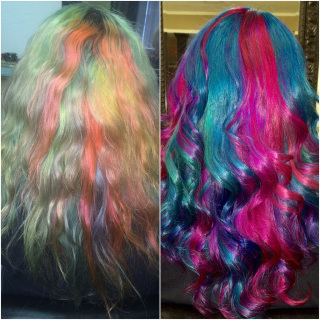 Are you wanting to drastically change your color, but aren't sure how to do it? Is your client wanting a change, but their hair is compromised and you can't do another color removal process without severely damaging it? Or maybe you just need some new color ideas...Learn about the technique I use to transition hair color from one end of the spectrum to the other WITHOUT color removal! Save yourself an entire process, and save the integrity of your clients' hair! Sixteen pages of tips, demos, and photographs, along with lessons in color theory, to help you up your game. Print this off and keep it at the salon for a quick reference. PDF document; requires Adobe Acrobat Reader to access. 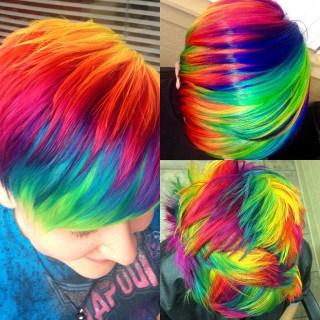 The demand to know the colors and placement on Haley's rainbow hairstyles has reached a fever pitch, so here it is! 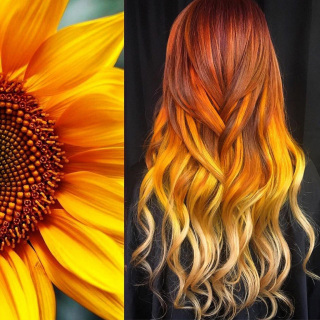 Full color formulas, placement diagrams, and hair care are given for her 3 (THREE!!!) 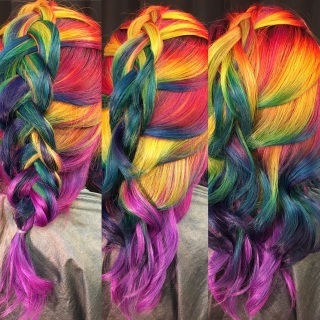 most popular rainbow hair color exploits - three tutorials for the price of one! Do you need your hair color toned down a little? Or maybe you need all of it out right NOW! 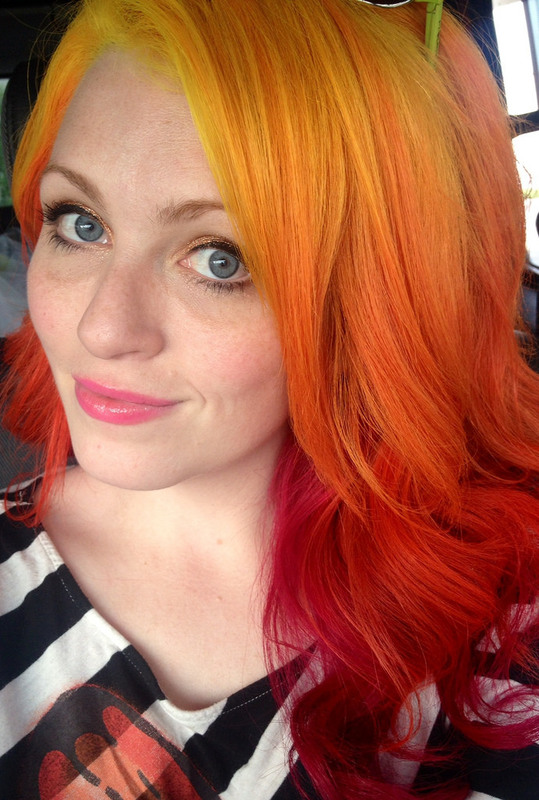 Read this article, with helpful methods, product recommendations, and photos to learn multiple ways of adjusting direct dye hair color.